AirPouch® EZ-Tear™ Air Pillows from Automated Packaging Systems are an excellent option for void-fill protective packaging. These puncture-resistant air cushions significantly improve protection while reducing packing and shipping costs. AirPouch EZ-Tear Pillows are pre-formed with our innovative EZ-Tear™ Perforations, a patented technology that simplifies operator handling. The EZ-Tear perforation design consists of a cut part way through the regular perforation, making it extremely easy for packers to grab a strip of air pillows and quickly tear off as many as they need. These specially designed perforations allow more air into each pillow, providing higher material yield and lower cost per cubic foot. In a recent study, the EZ-Tear feature - exclusive to AirPouch - required an average of 83% less effort to pull and separate the pillows than other competitive brands. 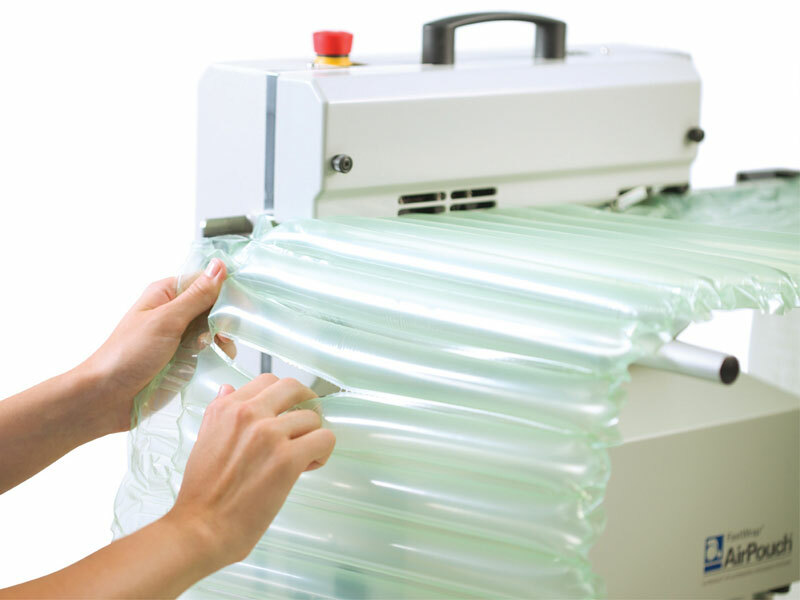 AirPouch EZ-Tear Pillows are inflated on demand at speeds over 50 feet per minute for high-productivity operations.